If you have not tried the Japanese famous fast food Ebi katsu burger aka Deep fried breaded Shrimp Burger, you are missing out on something. If you like seafood, you will surely like this! 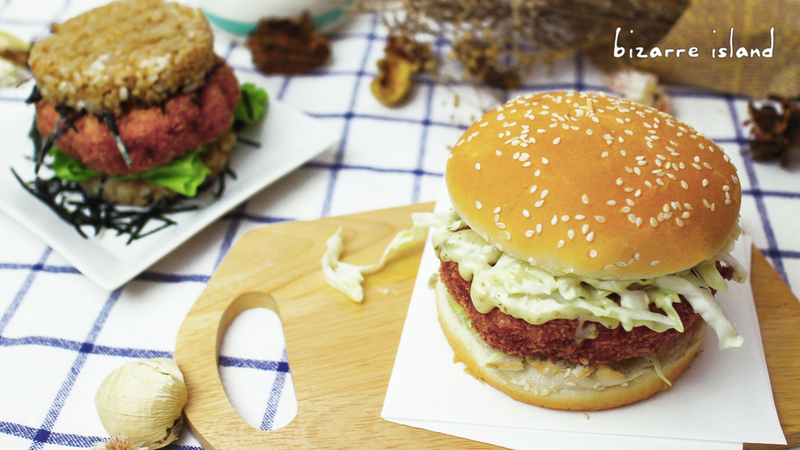 It is made from shrimp paste and diced shrimp to form a duo texture patty, full with seafood flavours. Coated with crispy Panko, yields a crispy yet juicy and delicate patty to sandwich inside your burger. 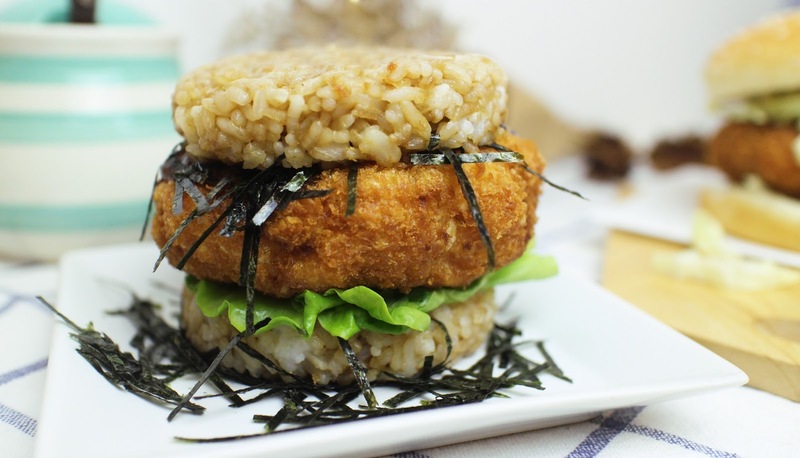 There are 2 ways to serve it, one with the more classic bread bun with tartar sauce and the other would be serving it with an asian style "Rice bun" and teriyaki sauce and nori seaweed. They are totally 2 different flavour combinations but both are oh so delicious. This Ebi katsu recipe can be made ahead and frozen for future consumption, which is great for people who have huge freezer space for meal preps and what not. I. You can use frozen raw shrimp/prawn. Defrost it and then clean it. II. For the shrimp paste to stick together, the shrimp must be very dry. To remove the moisture, after patting it dry with paper towel, I like to lay it on a baking sheet and put it in the refrigerator uncovered to let it dry out for around 30 minutes. Before making the patty, I pat it dry once more with paper towel. III. If you want to make more and freeze patties, you can deep fry at a lower temperature at around 120°C (250°F) for 3 minutes, it should not turn golden, Let it cool down and freeze it. When you want to eat it, just deep fry straight from the freezer at 190°C (375°F), no need to defrost, until golden brown. microwave-safe container like a tupperware. V. The key to keeping the patty together is: Always stir in the same direction at all times. VI. 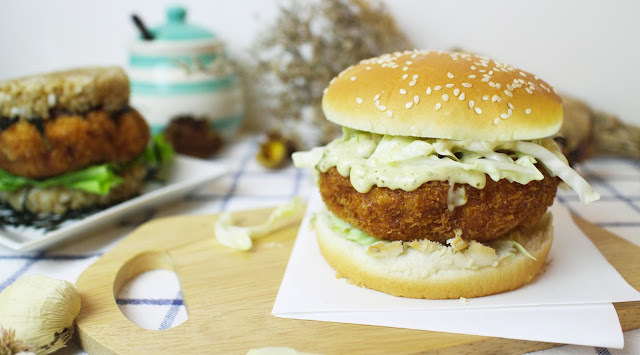 You can make the burger buns, teriyaki sauce, tartar sauce all from scratch too.